Who is Jesse Blackadder? She’s no relation to Rowan Atkinson, if that’s what you’re thinking. No, she’s a writer, and a damned good one at that. 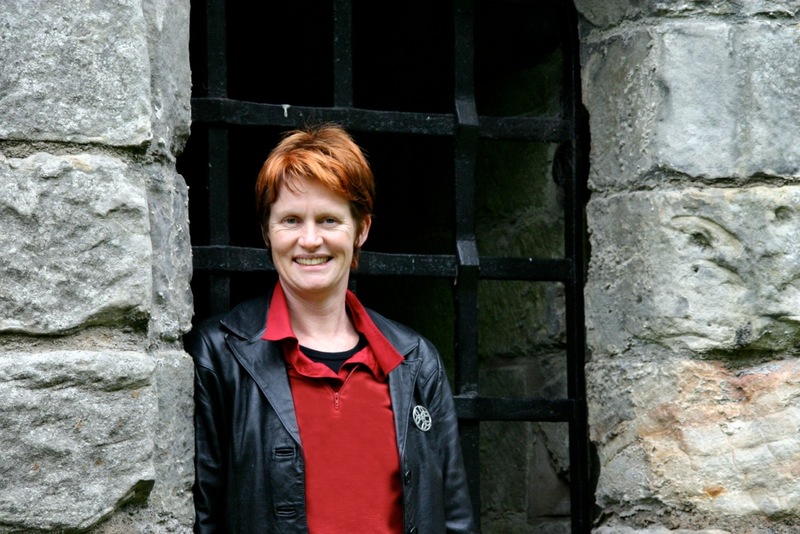 Her second novel, The Raven’s Heart, is set in medieval Scotland. If that doesn’t pique your interest, then you should have someone check your pulse. So, let’s see what Jesse has to say for herself! Hi Joan, thanks for having me virtually on your blog. It’s not quite like sitting down with a cuppa, but it’s kind of fun. I’m reading your novel Shaken and Stirred right now on my iPad and it’s a hoot. For people who don’t know me, I’m a new author with Bywater Books. I live on the edge of an extinct volcano on the easternmost tip of Australia. I’ve published two novels in Australia, with my third novel coming out next year. Bywater has just published the second of these, The Raven’s Heart. One of the things people have said after reading my book is ‘I don’t normally like historical fiction but I loved The Raven’s Heart.’ It’s not one of those bodice-ripping historical novels, but a drama about a young woman’s search for identity and the struggle between family honour and personal freedom – timeless themes, really. I have been influenced particularly by the writing of Jeanette Winterson, who is so original that you could barely call her work ‘historical fiction,’ and Sarah Waters. But I didn’t sit down and plan to write an historical novel. I travelled to Scotland on a holiday and went searching for the origins of my surname, Blackadder (yes, I was born with it). I found the ruins of the Blackadder Castle and a 500-year-old story about Alison Blackadder, who was widowed and left in the castle with her two daughters. The memory of that ruin by the riverbank, and the story, wouldn’t leave me alone. I kept picturing the scene. The widow waiting in the castle, carrying the weight of a name that had come to her by marriage. The roar of the river loud in her ears. A messenger, wet and streaked with blood, coming with news of an army she had no hope of resisting. Her two daughters, not yet ten years old, thin-hipped and afraid. What she might have promised or done to protect them. I might have left it there, if it wasn’t for one snippet of information that I found while researching my Blackadder ancestors. Mary Queen of Scots, about whom I knew little, was a powerful and charismatic woman who at times disguised herself as a man and roamed Edinburgh’s streets in secret. She also occasionally dressed as a man in her own court, and rode out at the head of her army in battle armour several times to subdue her own lords who rebelled against her rule. When I uncovered a real link between the Queen and the Blackadder family, (with one of the Blackadders being implicated in the murder of the Queen’s husband), the moment of creative alchemy occurred. I had powerful characters. A great injustice. A tumultuous period in history. A royal assassination. And fascinating women at the very centre of events. I felt that some whisper from the past had been waiting for me to step on to that land. That old story, of loss and dispossession, of disguise and secrecy, wanted to be told. Having never written historical fiction before, I began with a naive enjoyment and no idea of what was involved. 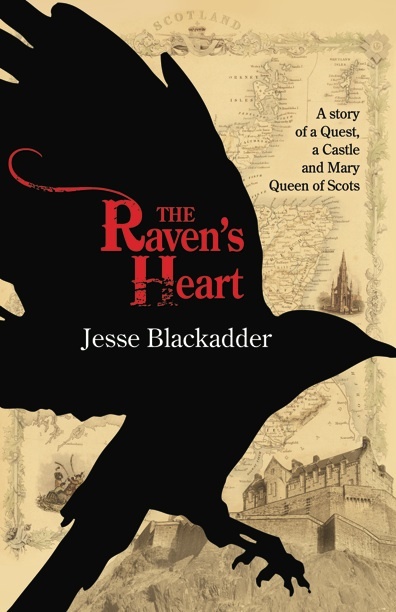 I was determined that the historical details of the Queen of Scots would be accurate, and so it took five years to research and write The Raven’s Heart. What’s that, Joan? You want to know more about me? I’m a red-headed, impatient, hard working, lazy, clever/stupid person who goes for what she wants, has trouble making up her mind, is impetuous, cautious, open minded except when I’m not. I spent 15 years wanting to be a vet then changed my mind at the last minute and now don’t have any pets. But writing and reading have been constant in my life, and it’s a delight to be in the deep end of that after years of practice. I’m doing a Doctor of Creative Arts, which will finish in the next few months. I have a gorgeous girlfriend, Andi, who makes the best coffee in the world. If I were a book I’d be The Passion by Jeanette Winterson. I wrote much of The Raven’s Heart longhand in bed in my pyjamas, and some of it in a cabin in Alaska on a writer’s fellowship. I’m just finishing writing Chasing the Light: a Novel of Antarctica about the first women to reach Antarctica, and a children’s novel Stay: the Last Dog in Antarctica. I was the Australian Antarctic Arts Fellow in 2011/12 – hence the ice obsession. Joan here again: Sounds awesome, does she not? And she wasn’t kidding about the red hair.